What a fun group of friends Isabel and her sisters had come along to her hen party. They were a really lovely group of hens. 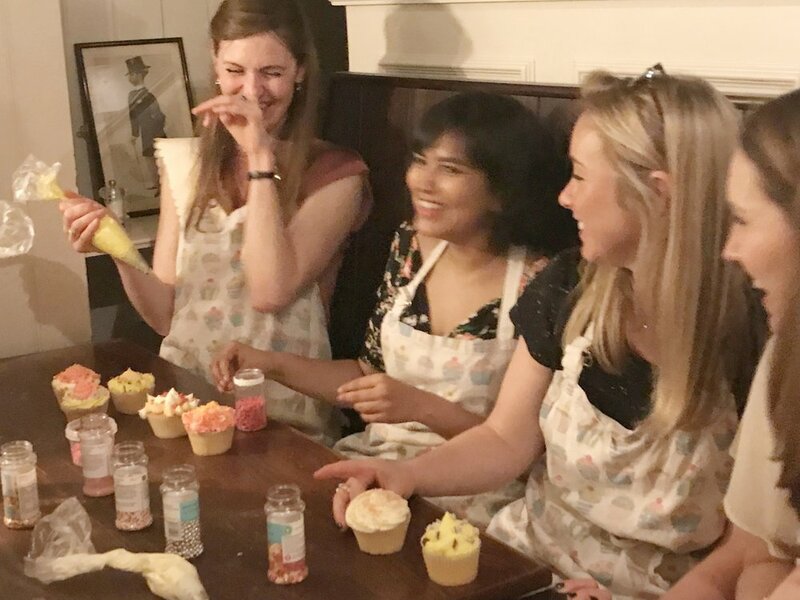 Despite the fact that they didn't all know each other they soon bonded over the cake decorating as it is such a good ice breaking activity. 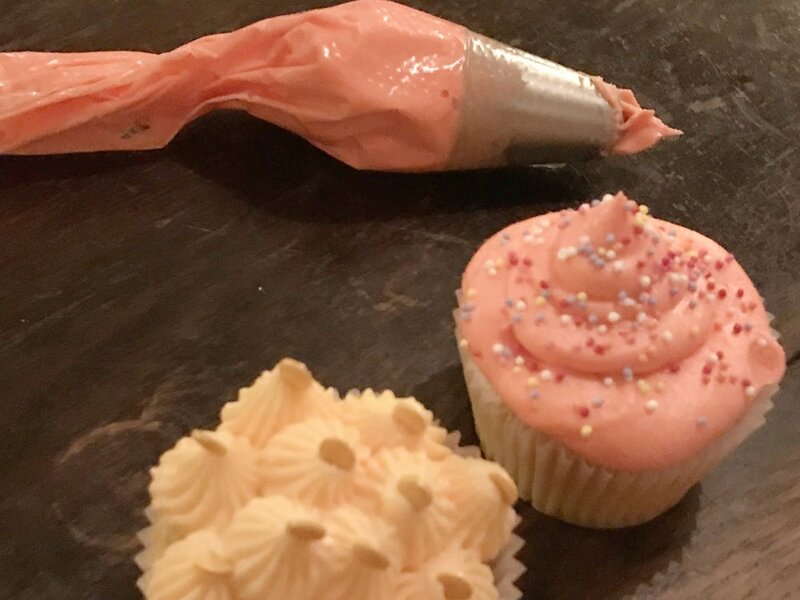 We spent a lovely 2hrs together on their hen day at our fab Covent Garden venue 'Crusting Pipe' doing a cake class. 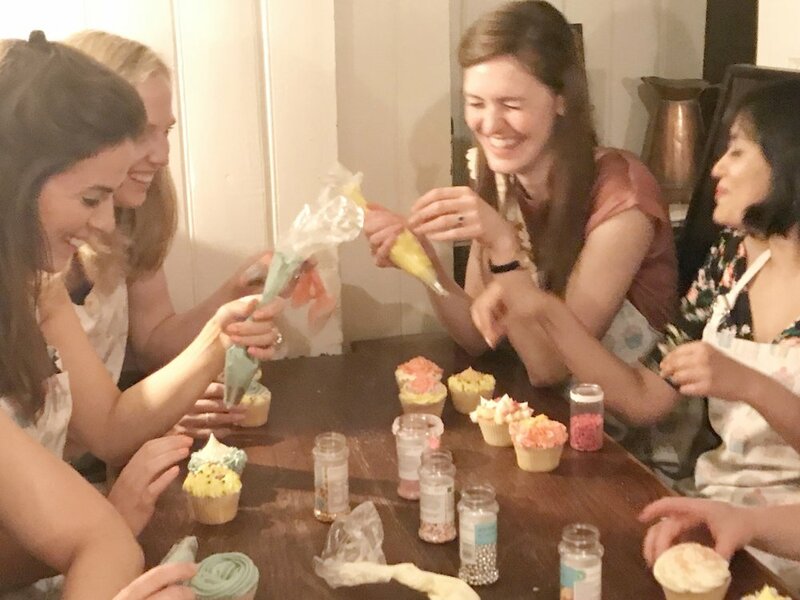 As you can see they were pretty chuffed with the results of their cupcake decorating efforts and amazed by how much they learnt in the cake making workshop.They were also thrilled to be taking their hand decorated cupcakes away with them to share with their friends and family. 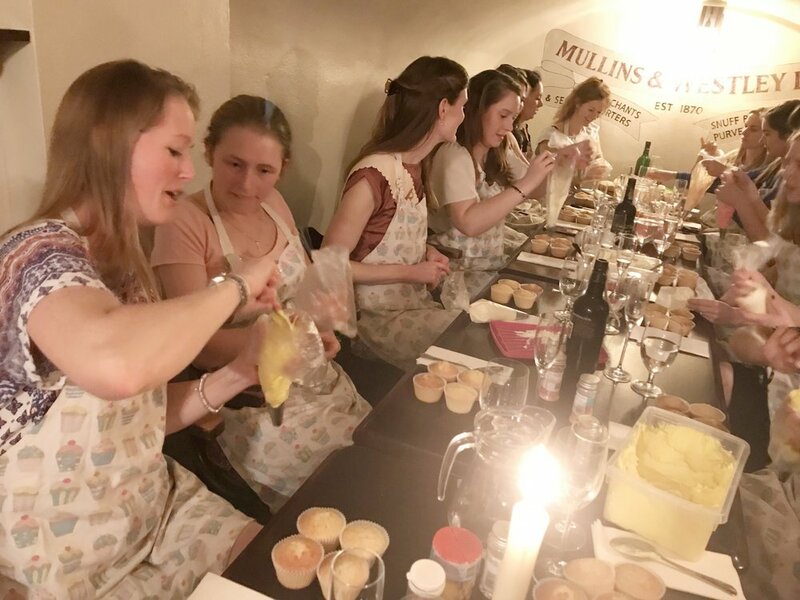 It was a really great hen do and I'm sure they are going to have a fantastic time at the wedding.